Chris Botha's Digital Art: My youngster having a go! budding jeweller! My youngster having a go! budding jeweller! 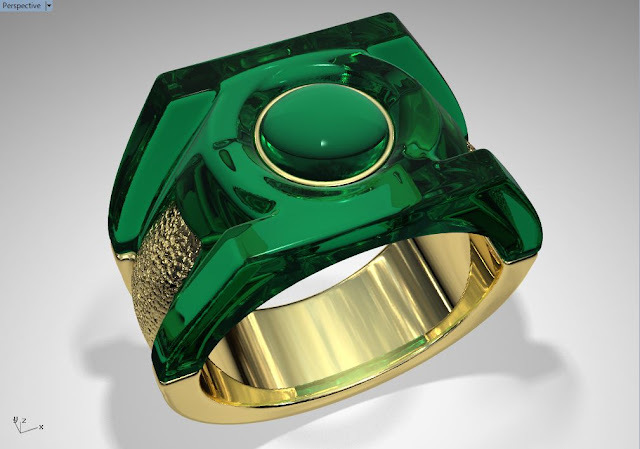 I told him I would do the cad if he did all the preperation work of the wax and the finishing, coring etc..
they both picked a ring, Oldest picked LOTR the ONE RING and the younger picked the Green Lantern Ring. I drew both and today the oldest took his hand to it! Here be all the good stuff! Making music with your Mill. Digital-Jeweller. Awesome Inc. theme. Powered by Blogger.